MORE than 200 runners hit the roads of Dartmoor on Saturday for a 32-mile ultra-marathon. 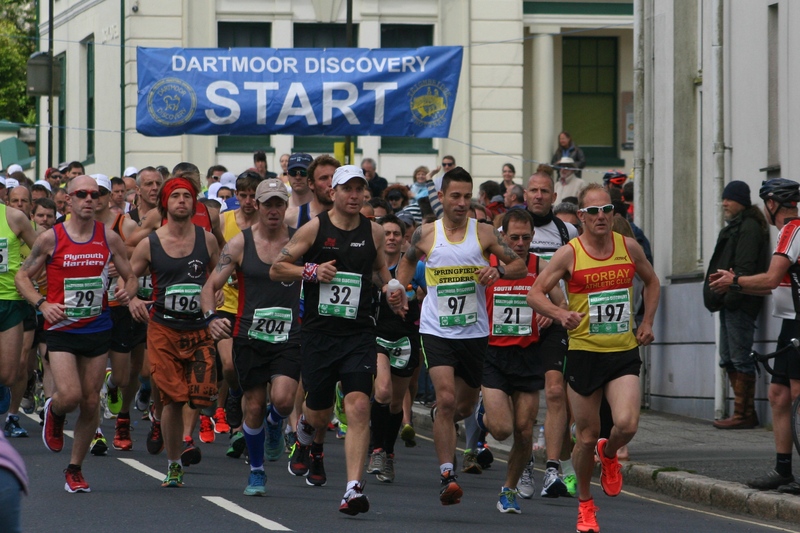 The Dartmoor Discovery race, which starts and finishes at Princetown, is one of the most popular ultra runs in the country. The undulating course took athletes from Princetown through Dartmeet, Poundsgate, Newbridge, Ashburton, Buckland-in-the-Moor, Widecombe-in-the-Moor and Postbridge before heading back to the start. Competitors had travelled from all around the UK to compete, although Plymouth Musketeers and Tamar Trotters had the most athletes competing. FULL REPORT AND RESULTS TO FOLLOW. PLEASE NOTE GALLERY MAY TAKE A FEW SECONDS TO LOAD. Tags: athletics, Dartmoor, Devon, Plymouth. Bookmark the permalink.